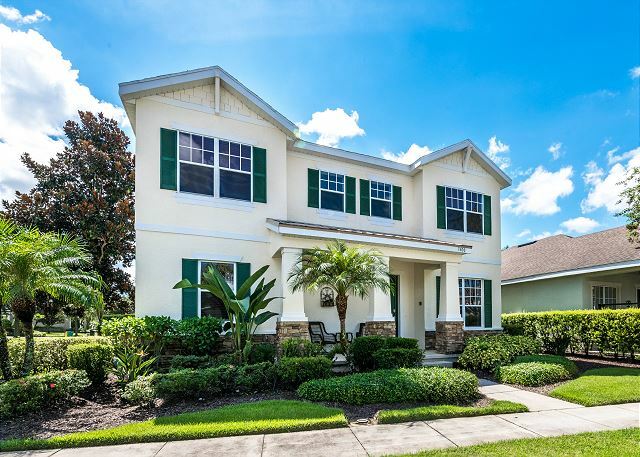 This 5 bed 3 full bath one half Reunion Family Retreat has just been refinished with new paint and furniture and is ready for rentals. 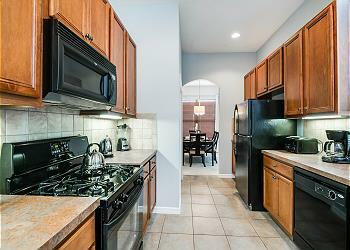 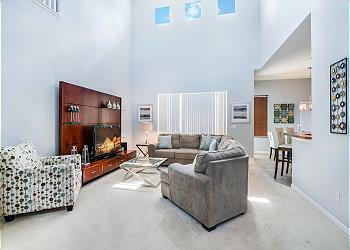 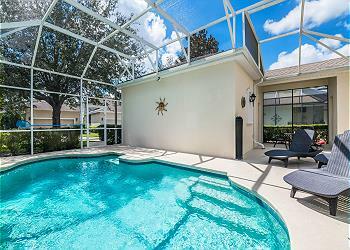 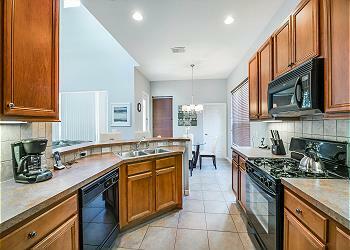 Please check out the new photos of this gorgeous home. 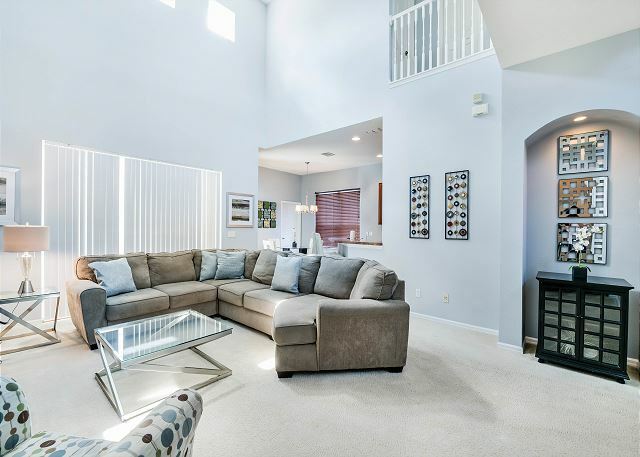 Downstairs you will find a spacious and comfortable living area with Large screen TV looking out the patio doors to the amazing covered lanai and beautiful pool area. 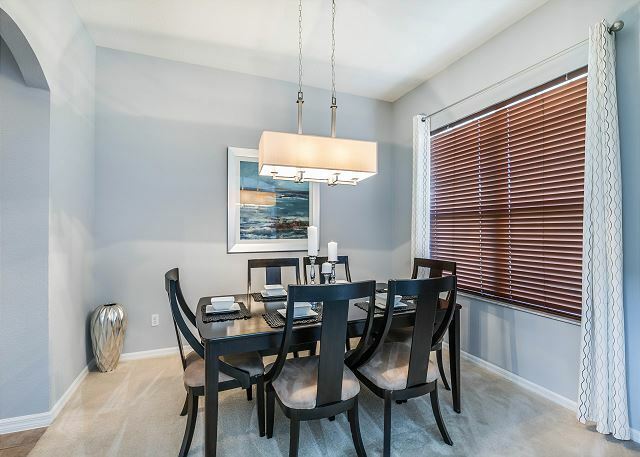 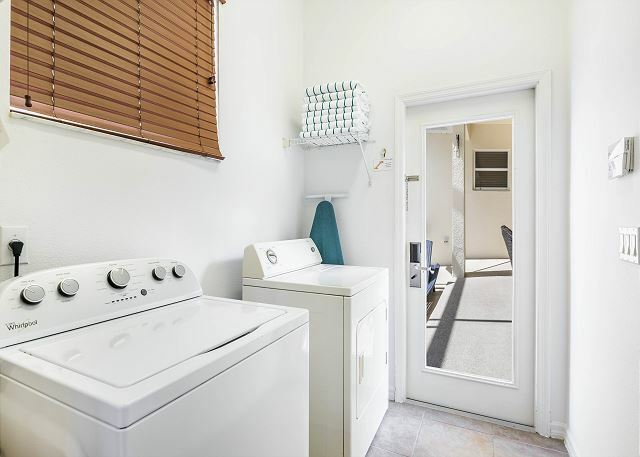 You will find a Kitchen table off the fully equipped Kitchen with all stainless steel appliances as well as a separate dining area for the family to enjoy a meal. 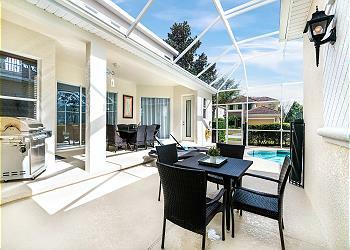 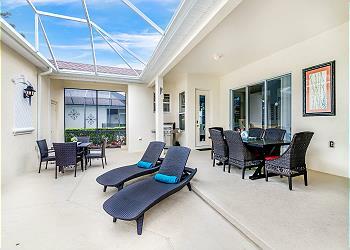 Don't forget you can also sit under the covered lanai outside at the table and enjoy dinner. 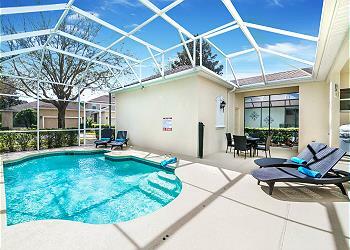 Also enjoy the convenience of having a half bath out off the pool area as well. 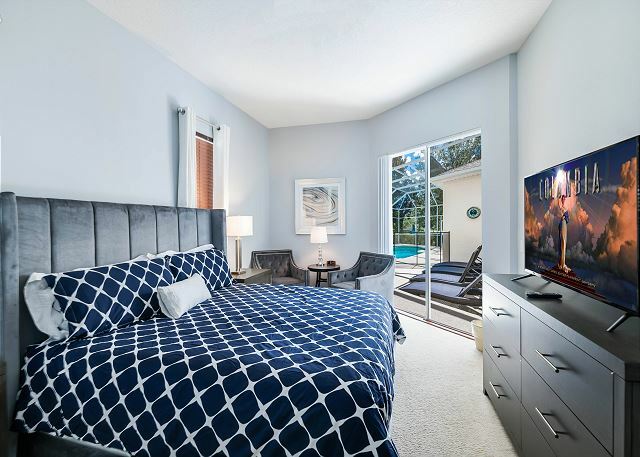 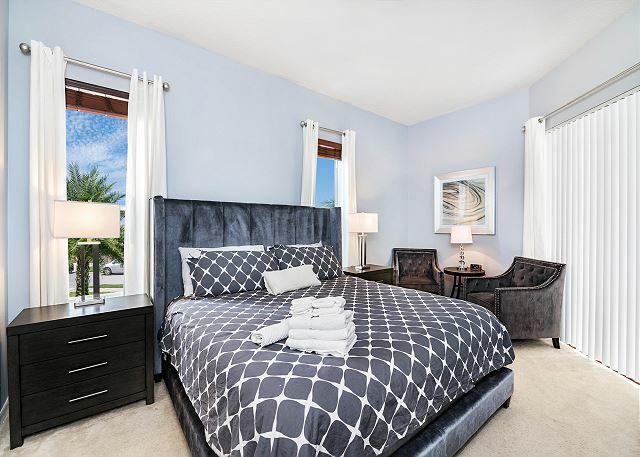 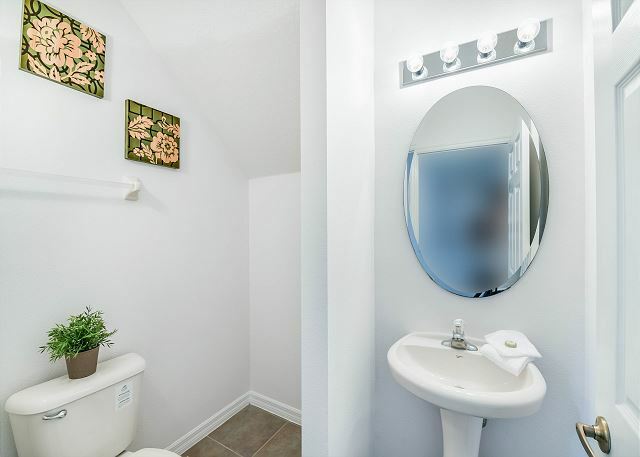 You will find a large master bedroom with king bed and large ensuite bath with separate tub and shower. 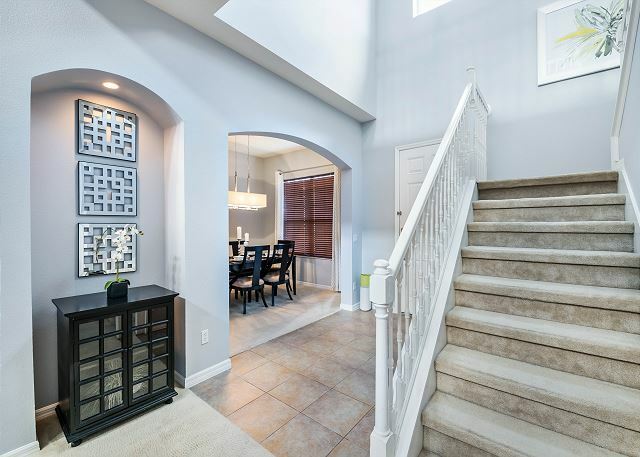 Upstairs you will find a further 4 bedrooms. 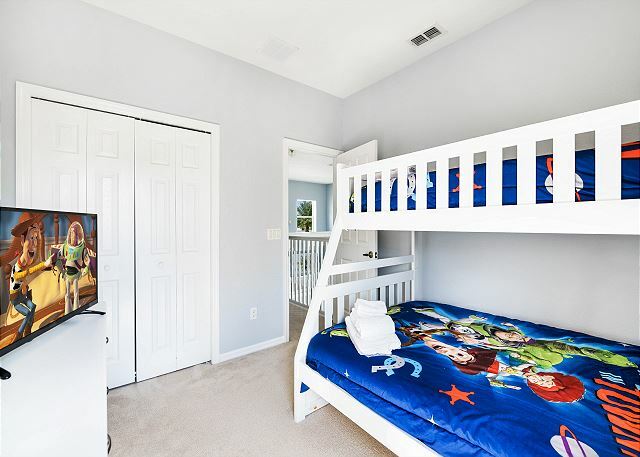 2 of these bedrooms are to the right as you go upstairs and the other 2 are to the left. 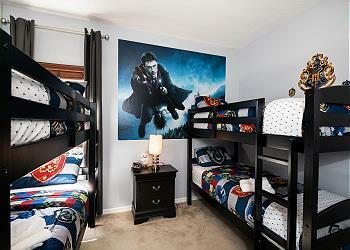 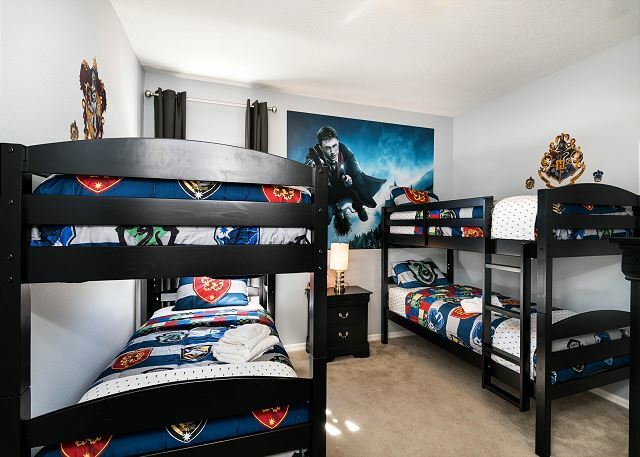 On the left side you will find a King bedroom and a bedroom with 2 sets of twin bunk beds in a Harry Potter themed room. 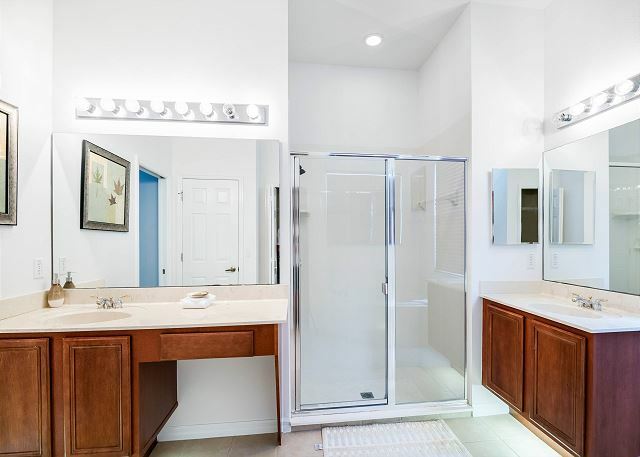 A full bath with tub/shower combo separates these two rooms. 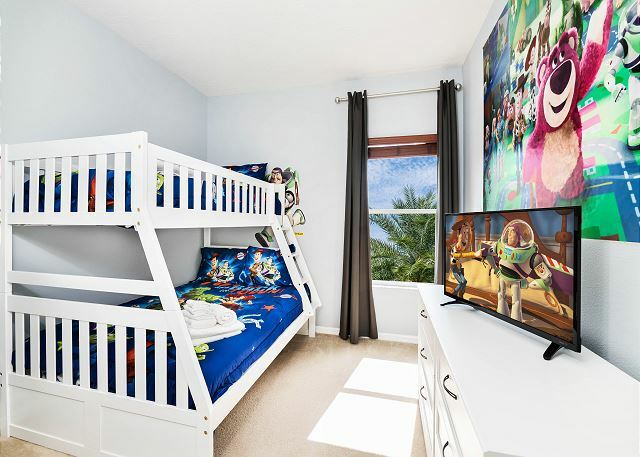 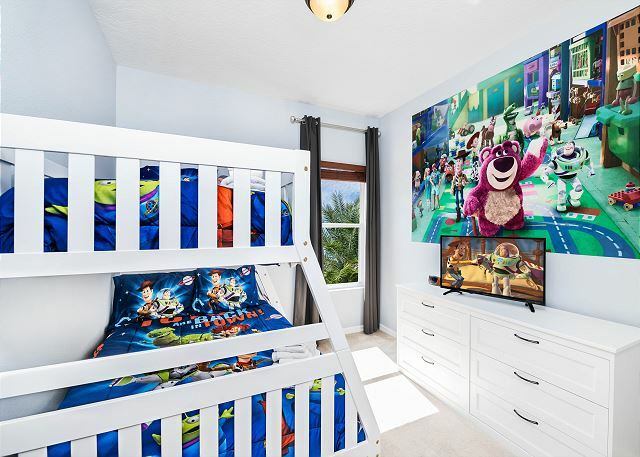 On the right side you will find a Queen bedroom and another room with a twin over full bunk bed in a Toy Story Theme. 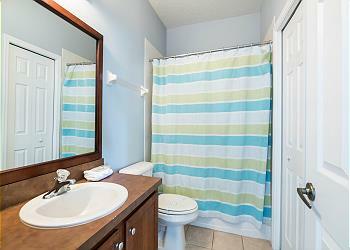 Again these rooms are separated with a full bath with tub/shower combo. 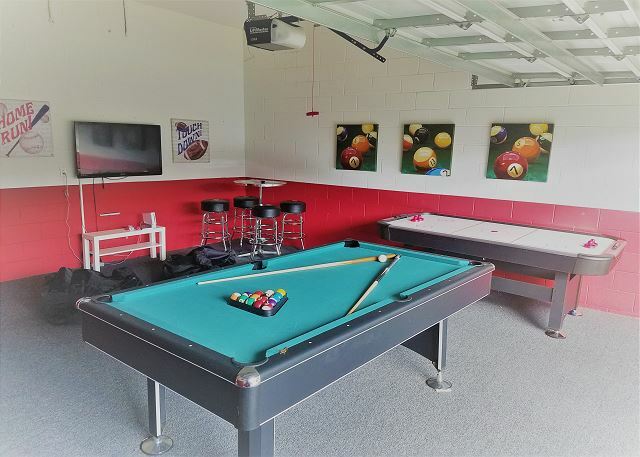 For your enjoyment you will find a Games Room in the Garage with a Pool Table and a Air Hockey Table for hours and hours of Fun! 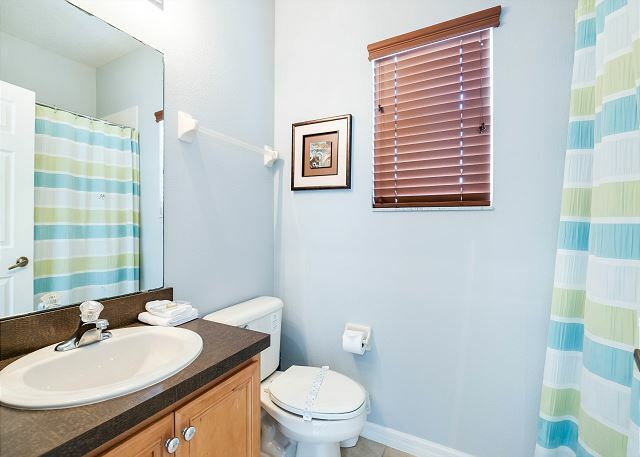 The home is situated on a Corner lot in the Popular Homestead Section of Reunion. 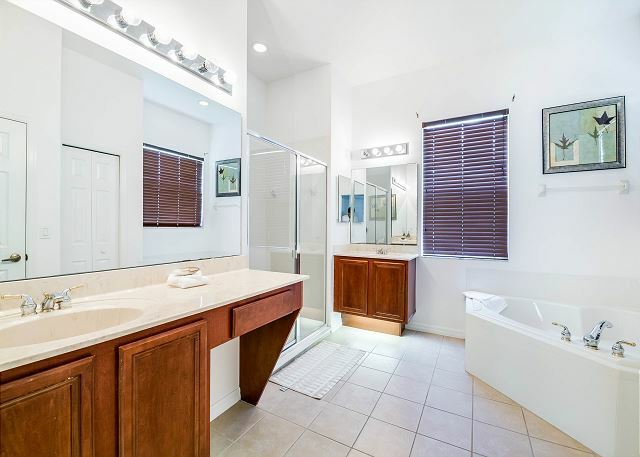 You will want to make sure to spend sometime outside because this home has a over sized pool deck, a convenient half bath off the pool, seating for 10, and a SOUTH Facing Pool! 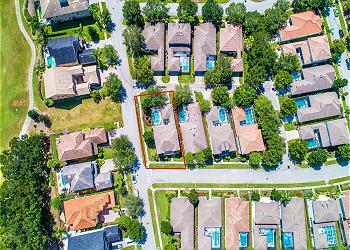 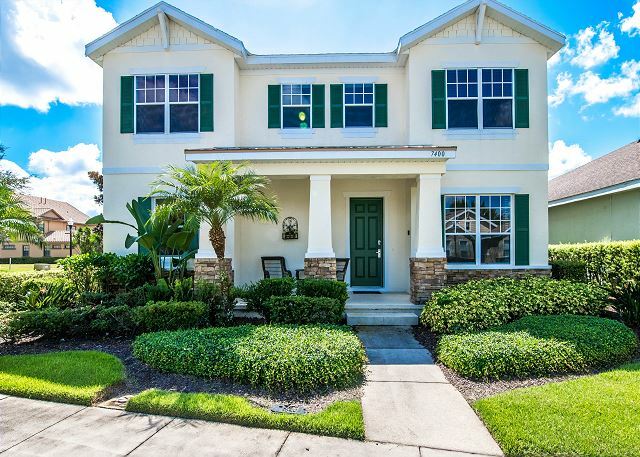 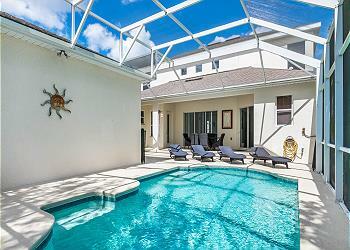 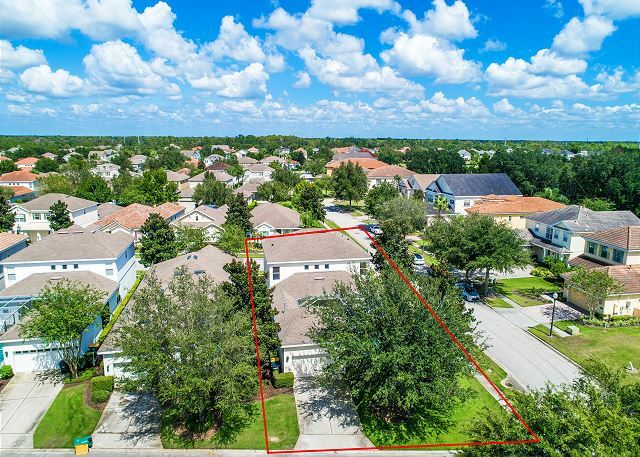 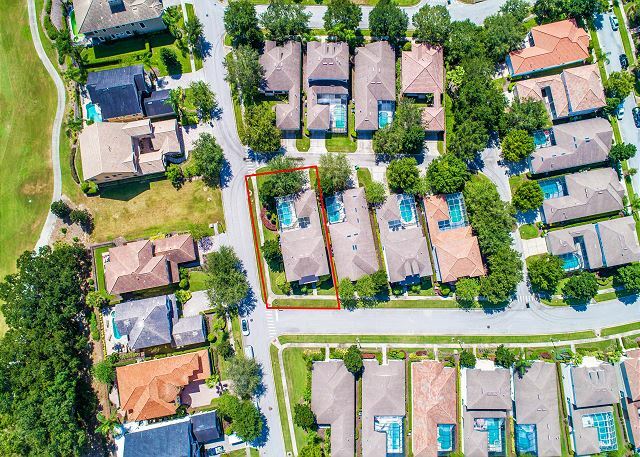 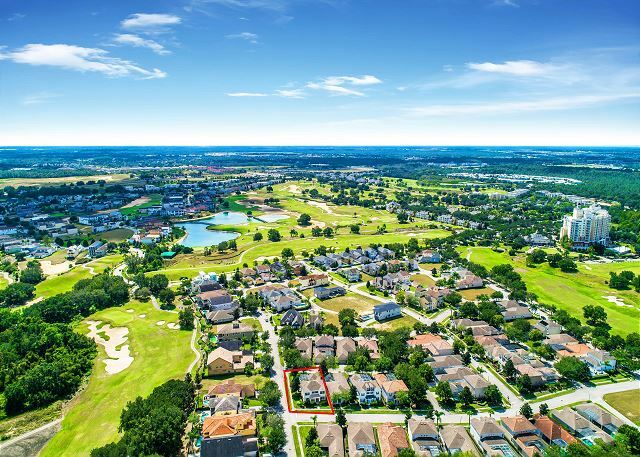 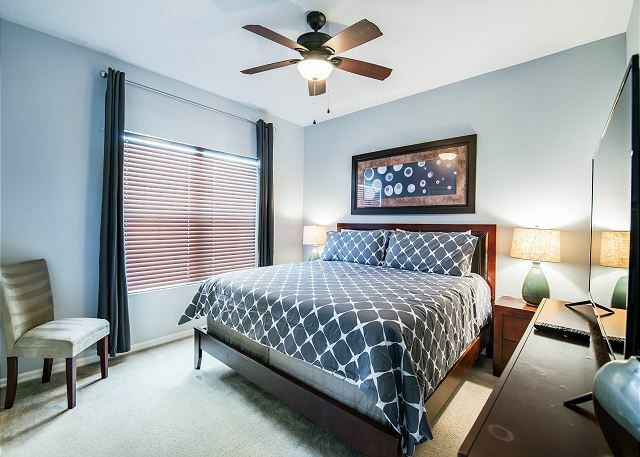 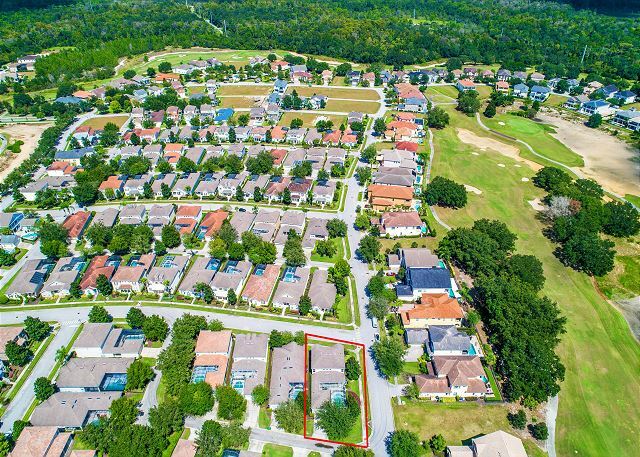 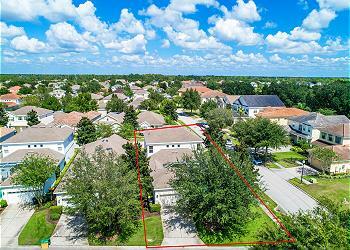 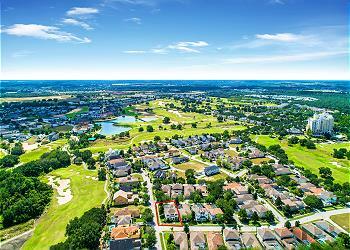 This home is located in the beautiful Reunion Resort with access to the many community pools within the resort and within walking distance to the Grande Hotel on Property with some amazing restaurants. 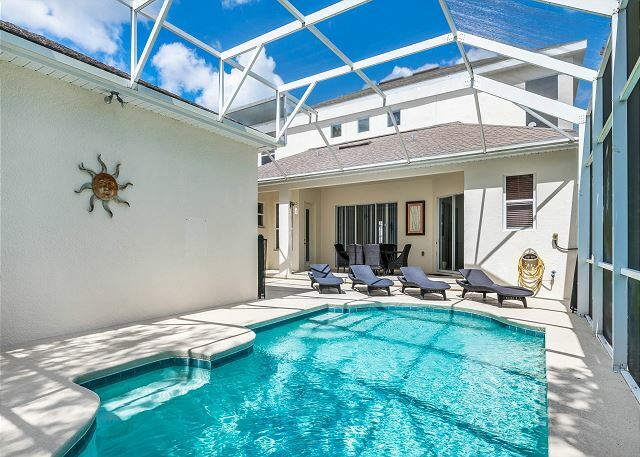 Also try out the Seven Eagles Cove area with huge heated Salt Water pool and even an outdoor restaurant for pool side dining. 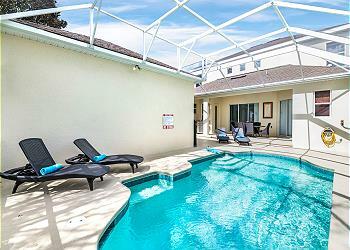 Please inquire about the cost to add pool heat to your reservation.